This is a 2 session class happening on 2 consecutive Sundays from 1-4 PM. Over the course of two 3 hour segments, we'll cover the foundation of TIG welding mild steel, stainless steel, and aluminum. We'll discuss setting and maintaining the machine as well as the challenges associated with different joint configurations. Some time will also be devoted to related skills such as TIG Brazing, Thermal management and working with Exotic Metals. This is a great course for those in need of a precision welding process, those working with nonferrous metals, and anyone looking for the pinnacle of welding challenges. 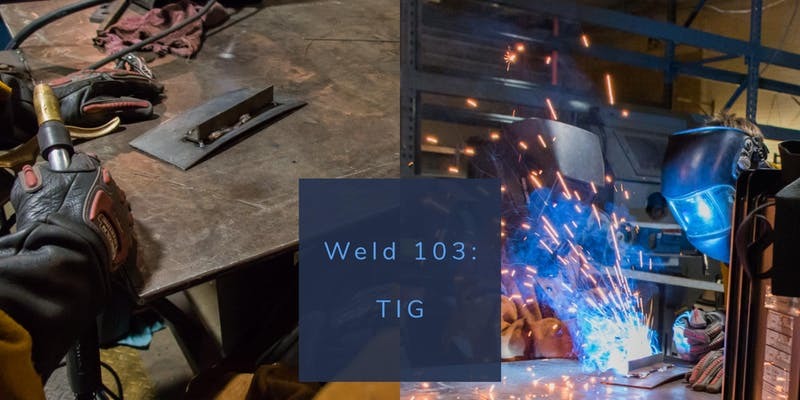 - TIG welding requires skill, patience, and perhaps above all, material preparation, as such completion of METAL 101 is strongly recommended to make the most of this course.